We all want to feel and look our best, but sometimes it seems like we would have to resort to invasive procedures to achieve it. Fortunately, there are a whole host of natural products and beauty secrets we can use that don't require surgery. From ancient techniques to more recent innovations, we're reviewing 6 nonsurgical beauty secrets to keep you out of the doctor's office. Used for centuries to achieve smooth, youthful-looking complexions, the facial roller utilizes crystal healing principles to promote healthy skin. When passed over acupressure points, it helps move toxins from the body and stimulates collagen production, increasing firmness and reducing small wrinkles and expression lines. This handy tool is ideal for the face, under-eyes, and neck and can be used everyday. What might be considered the more technologically advanced version of the crystal roller, microneedling at home has become more popular and accessible over the last year. Instead of stimulating acupuncture points, microneedling works to stimulate collagen production by creating microscopic punctures in the skin which the body then tries to repair coming back even stronger and firmer. Use in conjunction with you favorite serums for even better absorption and benefit. Used previously by athletes to reduce inflammation and pain quickly, Cryotherapy works by stimulating the blood vessels. When your blood vessel constrict in extreme temperatures (-90 degrees c) and go back to room temperature, the blood rushes to the surface of your skin resulting in a rosy glow. The extreme cold also stimulates collagen synthesis and reduces inflammation on the cellular level. Whether you use it for pain or pleasure, cryotherapy only lasts for about 2-3 minutes per treatment, so it's a quick and easy way to see instant results. These medical-grade correcting strips use a skin-like technology to instantly blend in with the skin tone while supporting sagging eyelids and excess skin on the neck, giving a temporary (yet instant) lift that is undetectable. Coming in sizes for many different eye shapes as well as the neck, these strips are a nonsurgical must have especially for those wanting to see immediate results. 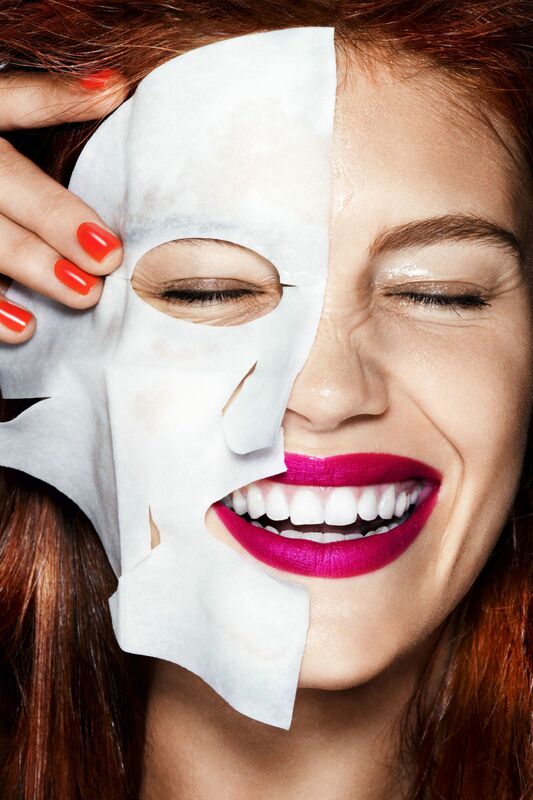 Fun and easy to use, sheet masks have become way more popular in 2018. Typically infused with collagen and other collagen-stimulating vitamins, these masks help keep the serums on your face while you relax. The possibilities are truly endless with this beauty secret, from anti-aging wrinkle-reducers to hydrating formulas, and they make for a pretty funny selfie. The best beauty secret is always prevention, and what better place to start than addressing the dehydrating and sometimes harmful effects of unprotected sun exposure. Putting sunscreen on your face, neck, and chest is a quick and easy routine that could not only prevent premature wrinkles and keep the skin from drying out, it could also save your life.